I've had my Blackberry for about a month now. I've been trying out different apps trying to gain as much knowledge about them as I possibly can. So far I like my Blackberry Curve. It's a great phone and a great smart phone. The one thing that I don't like about it are the lack of decent applications. 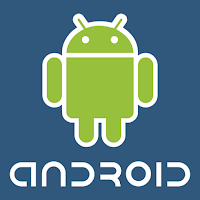 The Google Android phones and the iPhone are known for their wide variety of apps. Unfortunately Blackberry hasn't quite gotten there yet. I've found a few apps that I do like on the Blackberry that I will list at the bottom of this post, but for the most part I'm disappointed. I looked at the apps on my iPod touch and tried to find either the same app or something similar to it on the Blackberry. I found some but for the most part I came up empty handed. Not to mention it drives me crazy that I don't have enough space to download tons of apps since the apps won't run from the memory card. The battery life is great on the phone and as long as I'm not sitting on Fuze messenger all day (a Instant Messaging app) the battery lasts all day. I've found some awesome themes to customize the phone which I do like and is something you can't do on the iPhone. At times though I just wish it had a little more. The Google Android phones have blown me away. With the variety of applications including several that are just straight up banned from the iPhone at the moment. They are great phones. The Android operating system runs smoothly and in the end I could see the Android beating out the iPhone. The iPhone might have been the first but it certainly won't be the last. Don't get me wrong I still am an Apple fanatic! But the iPhone getting a little competition is good. In the end I hope to see more and better products all around from Cell phone manufacturers. Which is a winning situation for everyone. 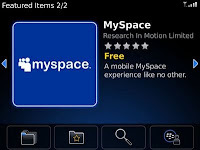 Those are just a few that I have downloaded for my Blackberry that I would suggest to any Blackberry user. If you know of a good app Shoot me an e-mail, leave me a comment, Twitter me, or leave a message via Google Voice. I will be using messages left on Google Voice in coming up Blogposts. I had the Pandora App. I took it off though. I realized I wasn't really using it. I've thought about putting it back on though. Cool! I'm going to have to check some of these suggestions out. I have a Curve also. While I'm an Apple fan, I don't like the idea of having to type on the screen. I recommend that you try Superpages.com It is a neat app.